Confidently add video to your marketing line-up. Is video part of your marketing strategy yet? It should be. 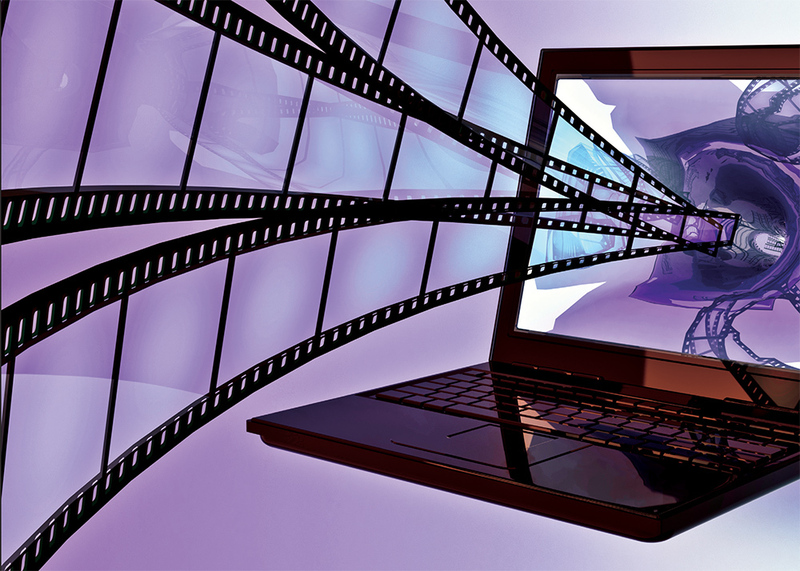 Research has shown that Web video is a great way to capture the attention of your audience. According to a 2009 Forrester Research study, having video on your website makes you 53 times more likely to show up on the first page of a Google search, and incorporating video into your email marketing increases click-through rates by over 96 percent. Less than a decade ago, producing a corporate video was an expensive and time-consuming exercise relegated to very specialized professionals. Inexpensive equipment, easy-to-use editing software and YouTube have brought video production to the masses. As the most popular website for sharing video on the Internet, YouTube enables you to post, distribute and embed video on your website or blog for free with no additional infrastructure necessary on your part. Many credit unions are using video—in fact, there are more than 8,000 videos tagged with “credit union” on YouTube. This number doesn’t include other popular video sharing sites like Vimeo and Blip.tv. Many credit unions are using video to their advantage, but thousands more are not. If I were a credit union leader, I would use Internet video to communicate our spirit, to promote and demonstrate our products and services, to empower our employees, to celebrate our member stories, to train our employees and to give our credit union an approachable personality. Increase website traffic or average time on your site. Explain what makes your credit union unique. Compare the pros and cons of different types of financial products. Humanize your staff by introducing a few key employees. Build credibility through member testimonials. Deliver an important message to staff members at all branches. Avoid having the goal of “going viral.” It’s unlikely your productions will be viewed millions of times like a Lady Gaga music video. Only a couple credit union videos have pushed into the six-digit view counts. “Violent and Awesome Credit Union Commercial” was created by YouTube sensations Rhett and Link for $89 million/13,000-member Bucks First Credit Union, Briston, Pa., and has been viewed more than 650,000 times. Also, “The Difference Between Banks and Credit Unions: Part 1” created by Larissa Walkiw, the 2008 Young & Free Alberta Spokesperson for $10 billion/400,000-member Servus Credit Union, Edmonton, Alberta, has been viewed more than 125,000 times. It’s more likely your videos will be viewed a few hundred times, but that’s fine if you’re reaching your intended audience. Testimonial—Have your members explain what your credit union does for them. Product demo—Have your staff demonstrate how to use your technology. You could even use screen sharing software to record an online banking demo. Financial literacy—Explain basic money management techniques and demonstrate money-saving tips. Seasonal promotion—Create a fun Halloween or Valentine’s video to show your fun side. Event coverage—Document your involvement in the community. Employee orientation—Demonstrate your corporate culture, mission and values. Most importantly, tell a compelling story and let your personality and passion for helping your members and your community shine through. Who is the audience and what would appeal to them? What will your opening and closing shots be? Will you be ad-libbing or do you want to script everything? Who should be in your video and what should they wear? What locations will you use? Do you need permission? Do you have all the equipment you need or will you need to rent anything? How will you showcase your products and services? For a sales video, what is your video’s call to action? Your video should have a clear purpose—it needs to answer the questions that your intended audience is thinking about when they start watching it. 1. Lighting: Good light is necessary for a great-looking video. Your light source should be at approximately 45 degrees to your subject. An indirect light source is always better than direct light. If indoors, use a large window as your light source. For most consumer-grade video cameras, it’s better if you can shoot outside on an overcast day. Don’t put a person with their back to the primary light source—it will black out their face. When you look through the camera at the lighting, look for shadows. If they are too dramatic, either change the position of the person or the position of the light. Always film a test clip to check your lighting before filming your scenes. 2. Background: Keep your background as simple as possible. When framing your shot, look at the whole image in the screen, all the way to the edges. 3. Be still: Always keep your shots as still as possible. Use a tripod if available. Don’t shake the camera, run around or pan. Keep your shots simple, well framed and still. Whenever you hit record, count to 10 in your head and don’t move the camera during that time. Do the same at the end of each shot. 4. Work from far to close: Before getting into all the details of your product, establish the setting, then move in. If you’re shooting at a credit union branch, get a shot of the outside, a shot of the sign and some shots of the inside of the branch as well. Pros call this the “establishing shot” because it helps viewers understand where they are. Also, get a few shots of your product as a whole, and then get closer. Don’t zoom. Make each shot its own by stopping recording and then getting closer. 5. Sound: Sound is arguably the most important part of your video. If possible, use a boom or lavaliere microphone rather than the built-in camera microphone. Get samples of natural sounds when doing your general shooting. When you go to interview someone listen for what’s around. Find a quiet spot (no equipment or fans humming in the background, no crowds talking). Get your member or employee on camera from the chest up and tell them to speak loudly. Ask a few simple questions, but avoid questions that can be answered yes or no. Editing will allow you to feature the best stuff, so feel free to lead your subjects with open-ended questions and repeat if necessary. Apple iMovie comes free with any Mac computer. It’s oriented toward beginners yet your videos will look professionally edited. For PC users, Windows Movie Maker comes free with Windows and is very similar to iMovie. If you have any editing experience and a Mac, consider Apple Final Cut Pro. It has all the features you could possibly need. Adobe Premiere is available for Mac or PC. Like Final Cut Pro, it’s a pro-level editor with plenty of features. It also integrates well with other Adobe products, including Illustrator and Photoshop. It’s time to present your video to your audience. You should publish your video in as many places as possible. YouTube: YouTube is a natural. It’s the second most popular search engine, behind Google and ahead of Bing. If you do not have a free YouTube account, create one. Upload your video and add a descriptive title and a URL to your homepage or landing page at the beginning of the video description. Tag the video with relevant keywords and write a few sentences that describe what your video is about. Facebook: Post your video to your credit union’s Facebook page and encourage those who “like” your credit union to view and share the link. Twitter: Send out a tweet with the title of your video and a link to it. Vimeo: If you want more control of how your video looks, consider using Vimeo instead of, or in addition to, YouTube. Vimeo allows you to add custom poster images to your videos and also gives you the ability to hide or password-protect your videos—this is ideal for intranet use. Blip.tv: If you plan to produce a video Web series, I would use Blip.tv. We use this for our Living Young & Free Show. With a paid account, you can have your show automatically distributed across the Web, including to Facebook and YouTube, to iTunes, and to the TV set through partnerships with Roku, Google TV, Boxee, Verizon, TiVo, Sony TVs and others. Incorporate your video in a marketing campaign or a product launch. Including a video with an email, newsletter or press release is a smart way to promote any campaign and make it more shareable. Embed your video in a related blog. If you’ve created a how-to video, write a paragraph explaining what is covered in the video and post it. Promote your blog or your website—if you’ve posted the video there—through Twitter, Facebook and LinkedIn. Allow your viewers to leave comments on your blog and your YouTube channel. Don’t worry about negative comments. If you have good content, you can always reply back in a constructive and positive way. After you’ve produced, published and promoted your video, it is time to measure your success. Website traffic—Look for increased direct traffic to your website or higher organic search results. Did you get more visitors to your site? If so, what was the source of this traffic? Social media—Do you have more “likes” on your Facebook page or more subscribers to your YouTube channel? A/B testing of your landing pages—Perform an easy test when you run your next marketing campaign. Send half of your traffic to a page that has images on it and the other half to one that has the video. Once your campaign is over, check out your conversion rates for each page. That’s a quick look at how your credit union can produce and use video. As you can see, the tools are cheap and hosting and distribution are free. What’s stopping you? Feb 21 People Relate to People, Right? Sep 7 How Do We Solve The Incumbent Dilemma?